Is a Second Story Addition the Right Choice for Your Family? If your DeKalb-area home hasn’t grown with your family’s needs, you may be thinking about expanding your living space to make things more comfortable and convenient. Depending on your home’s situation, you may be considering extending your home out to the back with either an extra room or a new deck; down (finishing off your basement); or up, by adding a second story. Is a second story addition the right choice for your family? 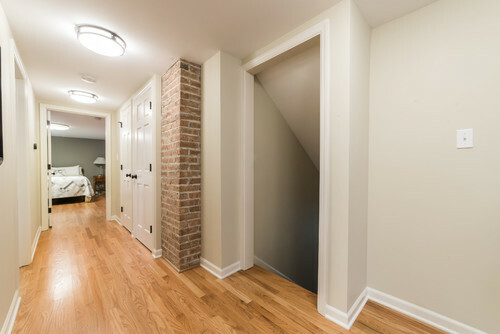 Let’s take a look at some of the ways you could use more space above your current living quarters. If you have kids who now need a little more space of their own, adding bedrooms on the second story can be a good plan. Putting bedrooms on the second floor can keep things quiet for sleeping—and provides a bit of privacy. Of course, you probably won’t add bedrooms without including a bathroom, so you’ll want to make sure your remodeling takes that into consideration. That’s one good reason to make sure you’re enlisting the services of a full-service design/build remodeler for this addition. Maybe your kids just need some additional space to play. 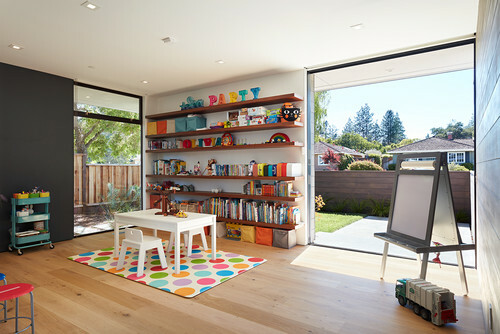 Adding a playroom upstairs gives your kids space to just be kids. And one of the nice things about having a separate playroom upstairs is you don't have to pick up all the toys every time guests come over to visit! Here’s a recent post that highlights some of the options for creating fun play spaces for your kids. 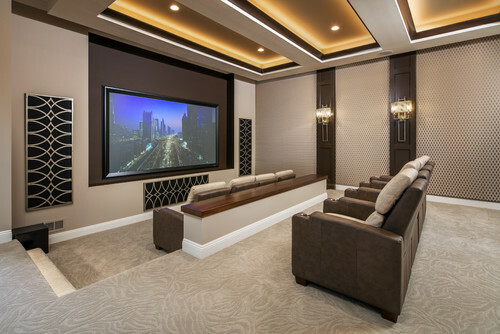 If your family likes to watch movies together or play games, you might want to consider putting in a home entertainment room. When you build it from scratch, you can make sure it’s exactly what you want. You can control the amount of light for optimal movie viewing. Plus you can arrange the setup of the room any way you want. It doesn't have to look like a conventional living room or family room. 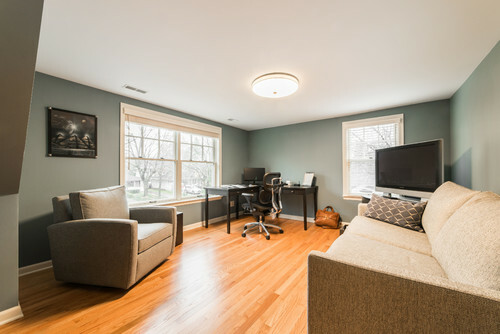 If you have a job that allows you to work from home, you may want to create a home office upstairs. Your office will be away from the noise and activity of everyday family life. You can wire it for Wi-Fi and set up the space exactly how you’d like it. If you like you may even have a futon—or build in a “Murphy Bed” so that you can use the office as a guest bedroom in a pinch. Maybe you’ve always wanted an art studio or a craft room for your hobby. You can create a terrific and spacious room with plenty of space to work—and to store all of your supplies. You may even want to add additional storage space for other items (like those Christmas decorations you never seem to have space for). By the way, this addition doesn’t have to be over your living quarters. Here’s an image of a room built over a garage. It provides plenty of space and privacy for working undisturbed. It's always good to keep your future needs in mind as you build out your current space. If you're planning to stay in your existing home for a longer time, you may want to think about the location of bedrooms. One advantage of moving the kids' bedrooms upstairs is that it may allow you to expand your master bedroom and bathroom downstairs. That could be a real benefit later as it allows for single-level living by taking the stairs out of the equation for everyday use. Also, building living space above the garage (such as in the image above) allows you the option of having a separate apartment for older kids who are working on getting their careers started. Or you may want to rent it out for some additional income down the road.